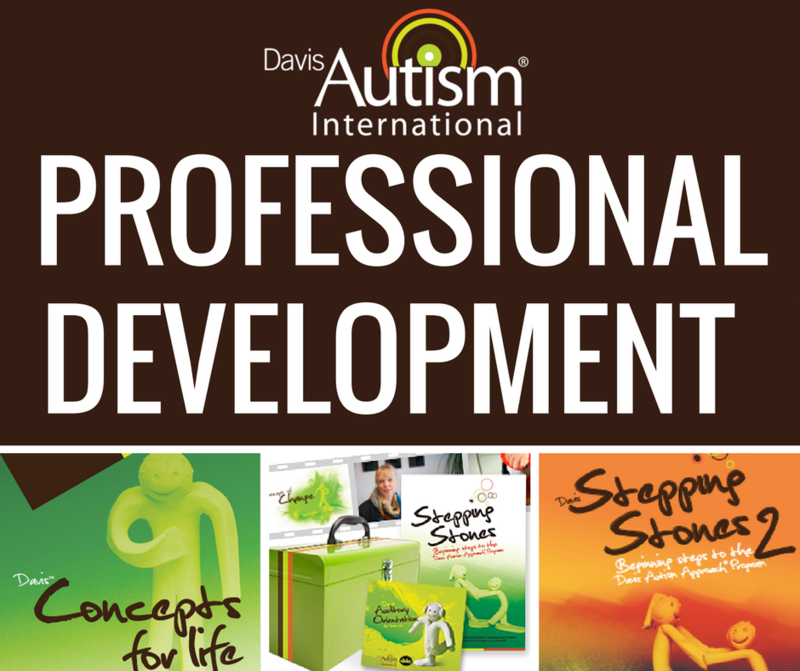 To provide an opportunity to advance your skills; become familiar with new products and programs; and to increase your knowledge of working with Young children and Non-verbal Autistic individuals. I. To become more confident and skilled in the structuring and facilitation of the newly developed areas of the Davis Autism Approach programs. Davis Stepping Stones 1 & 2 – an introduction to the content and flexible structure of this program. Early bird rate of £145.00 if initial deposit paid on or before 28 April 2018.